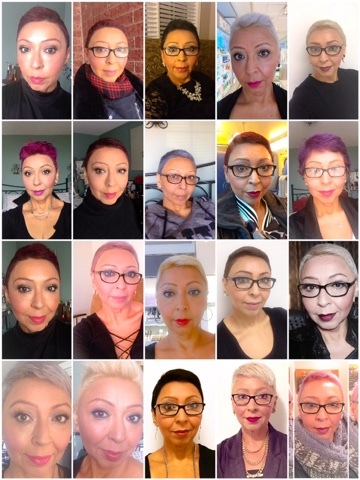 Let's talk hair...if you follow me on Instagram, you know how I love to change up my hair colour and how I maintain my hair super short and always seem to go back to blonde as my "safe" colour. Many have always commented on how my hair one day will fall off, and I of course said "oh no! my hair is strong, it can handle it!" until.....it fell off...literally. 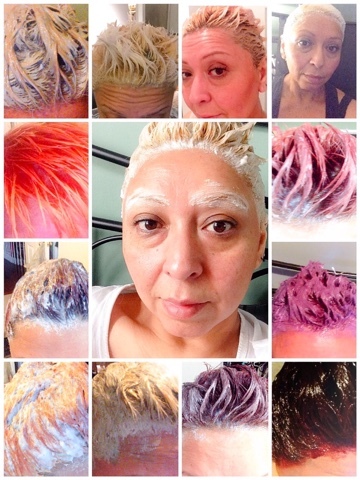 Below is just a glimpse of all the different shades of hair colour that I have done, plus a gallery of some of my bleaching and dying sessions. OK, so back to falling off hair...well, It happened a few months ago when I was doing a bleaching session and left the bleach on for too long. My hair was like cotton candy, it was dead and even if I moved my head, hair would just shed off. 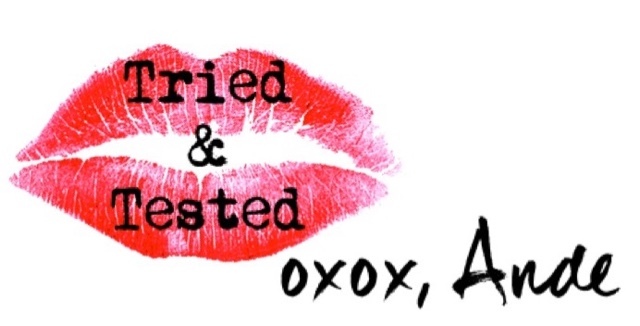 IT WAS BAD. I made a emergency appointment with my hairstylist and she salvaged what she could of my hair...what was left was about half an inch all around. I had super short hair. Plus, my Stylist also mentioned that my scalp looked super raw and I should stay away from the bleach. So, I decided that it was a perfect time to let my hair grow...BUT I had to make sure the hair that was left on my head stayed on my head..it felt nasty and it looked nasty...I went and put a semi permanent hair colour and was ecstatic to get an email from the #BeautyUnited team to choose one of the five new PANTENE REPAIR shampoo and conditioner. 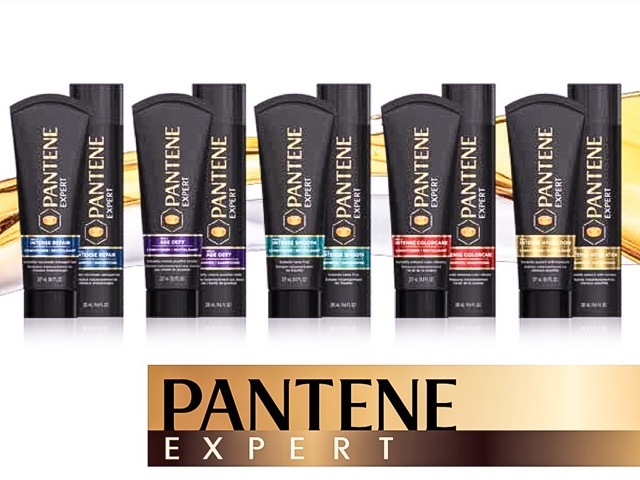 Of course, I needed hair 911 rescue so I opted for the PANTENE PRO-V EXPERT INTENSE REPAIR Shampoo and conditioner that is formulated to repair severe damaged hair Instantly. 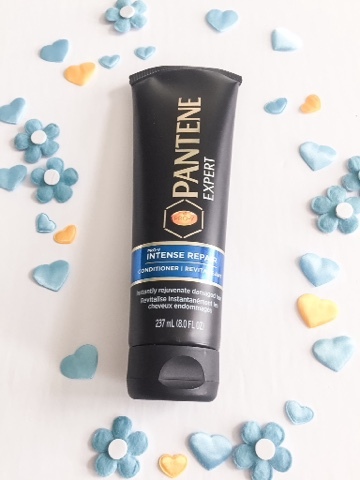 Formulated with the most concentrated Pro-V formulas that Pantene offers, it provides intense repair for damaged hair from the 1st wash! With every wash hair is cleansed with balance to achieve healthy, shiny and manageable hair. Hair is protected and its improved to a healthy state and is actively infused deeply into its core, fighting damage where it starts. It helps reduce protein loss, making your hair strong against damage. 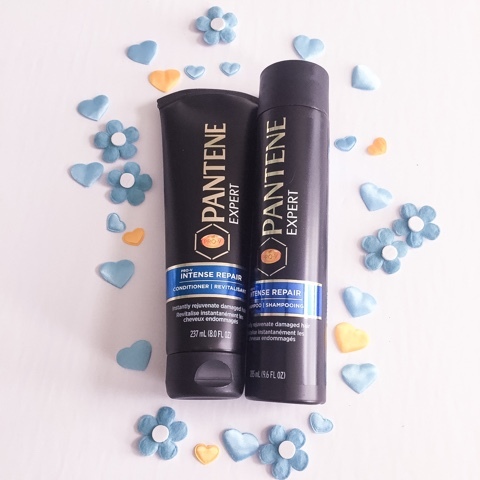 My hair was noticeably improved from the 1st time I used the Pantene Pro-V Expert Intense Repair Shampoo, my hair was shiny, soft and felt stronger. 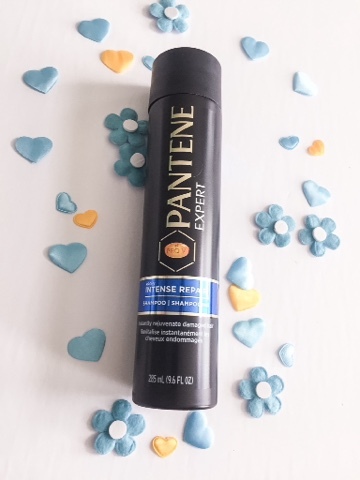 Also, Formulated with the highest concentration of PRO-V PANTENE has to offer, this conditioner instantly rejuvenates damaged hair. Hair is instantly left feeling and looking silky, hair is repaired and damage to breakage is visibly reduced. My hair felt and feels so strong just after the first time using this Pantene Pro-V Expert Intense Repair Conditioner. It made my hair feel so soft, it looked healthy and looked so shiny! *Disclosure: I am a #BeautyUnited blogger. 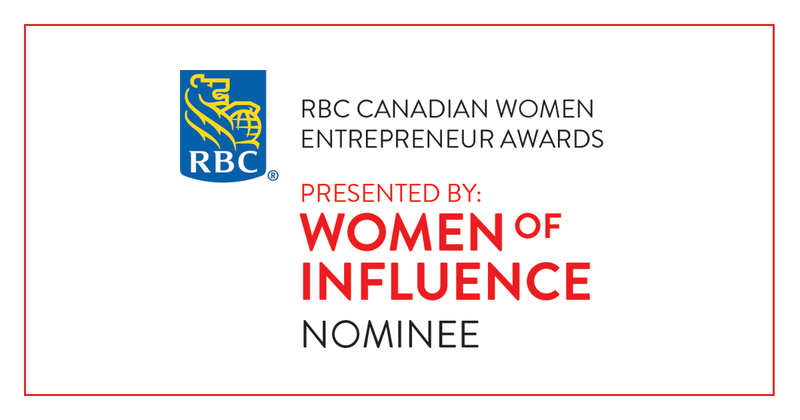 As part of my affiliation with this group I receive products and special access to P&G events. The opinions on this blog are my own.